Top 4 Guess Blogger Awards! 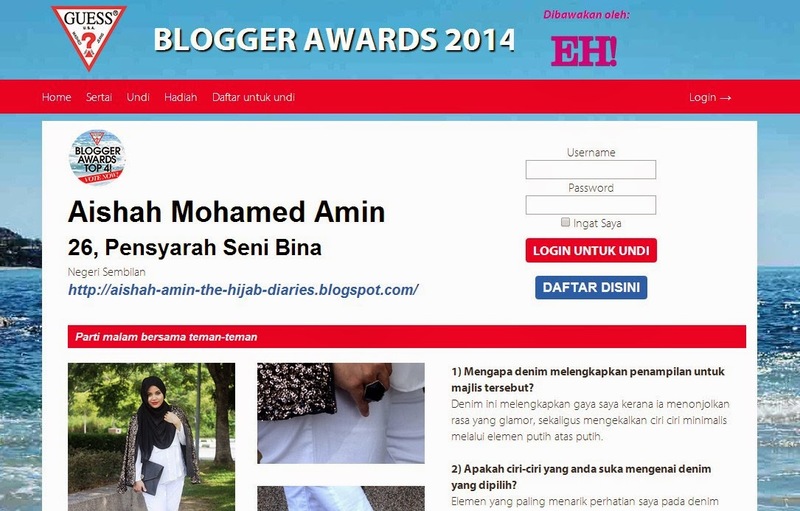 Alhamdulillah I was shortlisted as the Top 4 Bloggers for the GUESS Blogger Awards 2014! Thank you EH! Magazine for the opportunity! STEP 2 : If you already have an account, you can directly 'Log In untuk undi' and vote for me by clicking on my picture. Then click ' Undi untuk blogger ini'. Voting is open from 26th August until 8th September 2014. Online shopping Apparels are also available in every city at the reasonable cost with free shipping and easy returns.